Cause UK has been working and supporting songwriter Eliot Kennedy to help him host a special charity concert. We are delighted to announce Gary Barlow is set to make a guest appearance as part of an all-star charity concert next month (November 12). 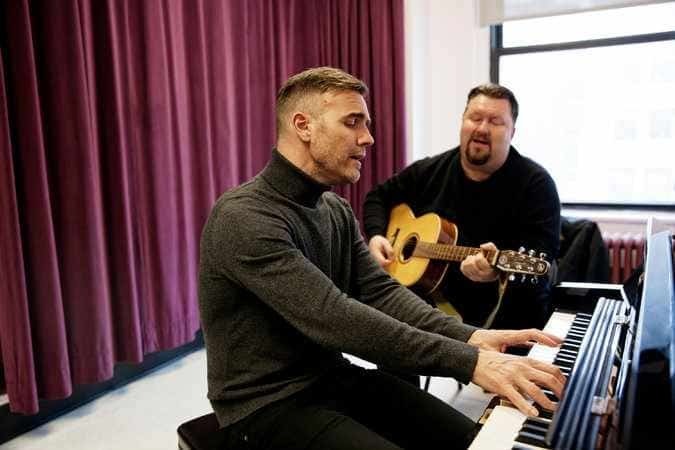 The frontman and lead vocalist of Take That will join his songwriter and record producer friend Eliot Kennedy at the Vulcan Experience, in Hangar 3 at Doncaster Sheffield Airport. Barlow is the latest name to be announced for the Yorkshire based song writing legend’s gig, which will raise funds for Hidden Wounds, a division of Help for Heroes. The evening will raise money for Help for Heroes, with all profits going to Hidden Wounds – helping those who have served, whose psychological wellbeing has been affected. 40 veterans who have been helped by the charity will be in attendance, alongside members of the Yorkshire Regiment. The night will also launch the debut album and singing career of Joanne Heselden-Edwards, whose late father, Jimi Heselden, was the inventor of the Bastion barrier system that has saved thousands of soldiers’ lives. During his lifetime he donated over £23 million to charities in his home city of Leeds alone and in 2006, he gave £1.5m to Help for Heroes. Hesco Defensive Barriers are indispensable in the protection of military personnel, saving countless lives. The Hidden Wounds event will include guest artists, The Puppini Sisters, supported by a 17-piece swing band, and will be hosted by Eliot Kennedy, who works with Take That, the Spice Girls, Donny Osmond and Bryan Adams. The concert will consist of a luxury three-course dinner for an exclusive audience in the iconic setting of the Vulcan Hangar at Doncaster Sheffield Airport.